8c a day for your ABC? Not bloody likely. It was back in the 1980s that 8c a day was touted as the figure it cost per capita to run the public broadcaster. And while it is still often quoted, the reality is far from the truth. After successive government cuts, the figure is now down to half that -4c a day. I guess 5c with rounding…? At the Annual General Public Meeting today in Sydney, ABC Chief Financial Officer Louise Higgins explained how the broadcaster is adept at driving that money further. “Our per capita funding is 34% lower than the average of other public broadcasters, including the BBC. In fact, we serve a population one-third the size of the UK, but do it with a budget one-eighth that of the BBC,” she said. “Back in 1987, your ABC famously cost each Australian eight cents a day. In 1987 dollar terms we now cost each Australian just four cents a day. In other words, our per capita funding has halved in real terms. “By the end of 2018 our savings over the last the five years will have increased to $324 million; of which we have handed back 78% to government and put the balance back into content for you, our audiences,” she said. You can read more from her speech here. The ABC cannot do maths. $1,000,000,000 / 24,000,000 / 365 = .11c a day. If my maths is any good, that’s $14.61 each. I guess some people would still prefer the extra 3 or 4 coffees a year. I’m happy with the job the ABC does, personally think it’s unbiased but, oh well, opinions are opinions. 4c a day in 1987’s money, that’s less than $15 a year. I wish I new what that was in today’s money, but based on 45c for a Mars Bar in 1987, and $2.00 now, that’s just under $65. To me, that’s the best value for $65 I get on anything.. If the 4c is in 1987 terms, then it would cost significantly more per capita in 2018 terms (relative to how we currently perceive the value of the Australian dollar). They’re being deliberately vague and facetious with their choice of words. Now I’m curious as to how much it *really* costs per capita. Yes inflation reference by me was probably incorrect (I have deleted). Another ABC link suggests it costs 9.7c a day in 2017. Funding is 4c. Maybe the gov should stop subsiding the commercial networks with their licence fee cuts, and put some money back into the public broadcaster? Half the staff doing twice the work…I will happily part with my 8c per day…instead of all this penny pinching.. Still too much! ABC had a purpose when in some regions it was the only outlet for news and entertainment. Those days are over. 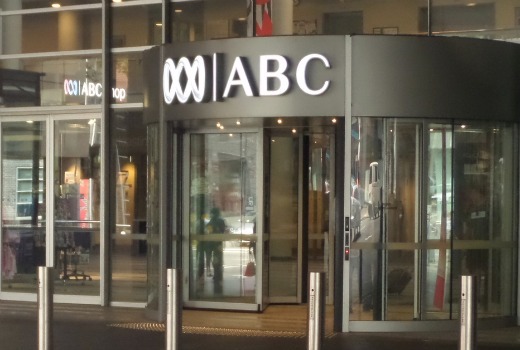 Now, all the ABC does is take the readers and viewers from competitively run businesses. It’s also a voice of the Left that needs its funding removed. Still too much? 4c is a day is a bargain.The ABC is more important than ever these days in the era of “Fake News” from the Right. Look at the Right Wing slanted views from talk back radio, News Corp and Sky News the Right Wing Opionist muddy the waters or just flat out lie to their flock of sheep. Don’t worry Sky News with the likes of Andrew Bolt, Paul Murray and Co. will tell you what to think and when you should feel outraged…. I would like to know how much of my premium subscription goes to Sky News on a daily basis???? Somthing tells me it’s more than 4c a day….. And Foxtel won’t let me have the option of dropping the channel. ABC is responsible for most of the ‘fake news’. Get rid of it, I want my money back because the ABC don’t spend it very wisely. Sky news and Fox are private companies. Like Fairfax is to the left, they can be as biased as they want. Their readership pay to keep the companies afloat. The ABC just continues it’s agenda with no private funding, just tax payer funding. Get rid of it! Incredible statistics. Makes me even more proud of the work they do. When the budget gets back into surplus the Government should boost funding so they can invest in more scripted Australian content.